HMS is a specially designed software tailored for small hotels, resorts, independent or chain of hotels. It can greatly reduce the manual efforts you put on your hotel to monitor bookings and operations. No property is too big or too small. Even for a single room or for a chain of hotels, you can start using this software. Cloud Hotel ERP front office dashboard displays up to the moment information so that Front office can spend most of the time with guest. The dashboard view of the Cloud Hotel ERP will incorporates the Checkin, Checkout, housekeeping, Room Service, Room Transfer, Other charges etc. Restaurant is the most simplified view to speed up the Implementation and operation efficiency of the point of sale or any number of outlet in a Hotel. We provide you with unlimited category and subcategory selection from the lookup and provide the privilege to select the Menu for your outlets. Its all a single step with completion of multiple operation at the same time. 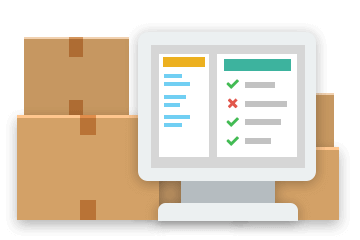 Maintain a tight control of your inventory. Provide the option of Purchase indent to your Departments. Purchase Indent conversion to Purchase Order with approval. Manage your Supplier payment and enable tight control of all the Goods receiving at your Hotel. Track your banquet booking services. Our Banquet module will allow you to capture the amenities available for the different venue. Banquet chart will provide you the calendar view of your all the booking with details of no. of attendees, booking of Multiple Meal plans, snacks & beverages for the event. Staff allocation for the events. Cloud Hotel ERP provides multiple settlement option with direct posting to the specified Account Head. Management of employee data working in the Hotel. 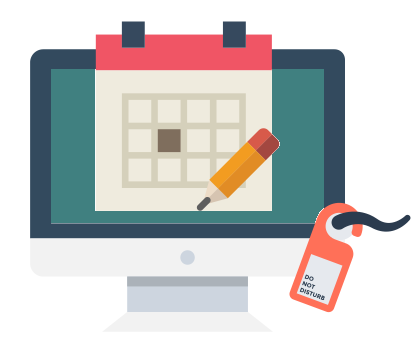 Including Payroll, Salary Slips, and Vouchers will be performed in our payroll module. The system maintain the Employee Personal Information including DOB, DOJ, Blood Group etc and also work History including category and Division. Assigning the task and tracking the performance of the employee got easy with our Task Management Module. Task assigned by the supervisor to the executive can also be notified via sms so that executive can immediately work on the priority & critical issues. The system will provide the upto moment status of the task including the escalation of the task in case task duration is crossing the specified time. 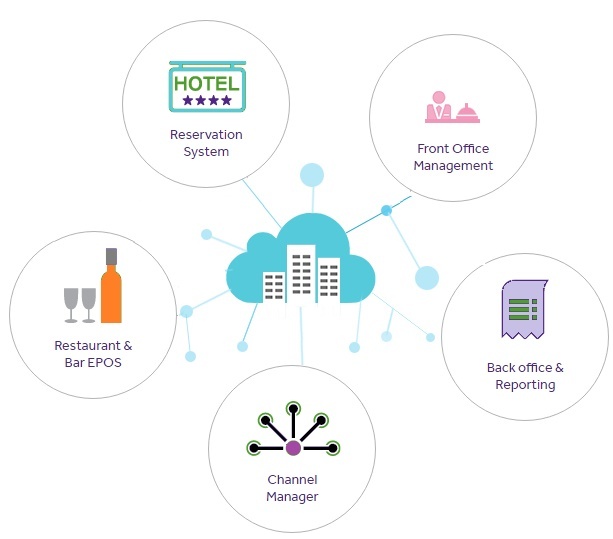 Cloud Hotel ERP not only covers the operational modules for your Hotel. Also assist you in making the Billing easy for you by Travel Module, Spa Module, Mini Bar, and Swimming Pool etc. Make the Billing easy for your Guest by providing them one Invoice with detailed description of the services availed by them or provide them separate bill for the different services. Customize your billing oriented to your Guest choice. Cloud Hotel ERP provide you with Account Module to provide a comprehensive solution of other Hotel Billing Modules with Accounts. Manage your day to day accounts, accounts heads, Accounting voucher, quick payment, and quick receipt under one module. Generate your accounting vouchers through our system. Cloud Hotel ERP accounts module will provide the daily, monthly & yearly profit and loss report with no errors. Either Guest is staying in the room or visited the Restaurant, getting know about their experience will increase the revenue and provide you the areas of Improvement. Now say no to Manual feedback Forms and get the feedback from the Tabs. The feedback received can provide the analytical report and assist you in enhancing the Guest experience at your Hotel. We aim at providing you the utmost security. Create unlimited users and assign privilege according to their roles. Control all the users through one admin login. Accept direct guest payments by providing them multiple payment modes through integrated payment gateways and confirmation sms & email.